Q. What exactly is a Book of Centuries? Hello. Please pardon my ignorance, but I recently bought...(a) Book of Centuries...and I don't understand how to use them! I'm not very familiar with timelines and my mind overloads fast! I see the centuries at the top of each page but there are no dates... it's numbered 5,10,15, etc. But I really don't understand...I'm sorry if this is completely obvious and I'm being silly. Open your book so that the 20th Century C.E. (Common Era or AD) is in front of you. WWII ended in 1945. Say you want to note that in one of the “spaces” in this century, you can count by fives running down the page and find the correct spot one space up from the half century line. As the book gets filled up these “columns” start to show up and the brain becomes used to the spaces and the way a particular century looks. It takes a little while to get used to it and you will need to have a couple of sessions with your students with no pens or pencils just putting their fingers on the right spots, but soon it will be familiar and hopefully fruitful. Every page works the same way, but please note that the pages for BCE (Before Common Era or BC) reverse. The numbers go the other way because the years do! I hope that makes sense. You can put a little light pencil mark 1901 over the first space on the left hand side and 2000 at the bottom if it helps, but soon, I promise, you really won’t need it. I want you to love them! Q. I was admiring your Book of Centuries, but I was wondering if you had any plans to sell a version with BC and AD rather than BCE and CE. 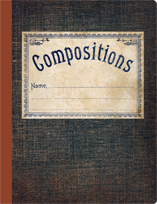 My discovery of Mason’s Book of Centuries came out of working with a team of curriculum designers brought together to create an authentic Mason curriculum for use in many venues…home schools, private schools, internet schools but particularly public schools. (Gillingham Charter School in Pottsville PA is the first public school in North America to use a Mason curriculum.) The context for education, particularly in the United States, demanded that the materials be designed to accommodate a pluralistic population. Without going into all the rationale for the project, let me just say that while acknowledging and celebrating Mason’s Christian faith, the Design Team also saw that she worked extensively with people of other faiths to bring her relational pedagogy to the children who so sorely needed it. (And even some private schools prefer to let their Christianity be discovered through their practice rather than by the sign on the door.) While Christians would naturally want to preserve her whole message, not taking what we could to today’s children felt like withholding food just because we couldn’t bring the entire banquet, if that makes sense. We determined to speak to the existing culture like Esther, in the most alluring and practical ways available to us. So one of the reasons for the dating was to introduce our invitation into places we might otherwise be denied and where Mason is so needed. I have endeavored to bring back the version of the Book of Centuries that Bernau designed and Mason used and appears, for the most part, to have remained essentially the same for the P.N.E.U over the years. Certainly the original did use BC/AD. However, Bernau did make slight adjustments and certainly did acknowledge the insecurity of dating. We can’t know for sure what they would have done had they lived in the twenty-first century, but since the book was designed for use in museums and followed their protocol for historic eras, it seems likely that at some point Mason and Bernau would have faced this question. BCE/CE is quickly becoming the academic protocol. Wikipedia reports that the Smithsonian Institution, the World Almanac, the College Board and the Norton Anthology of English Literature all use the Common Era designation. The Royal Ontario Museum uses Common Era. I don’t know if The British Museum has a stated policy; it still has BC on its website but keep in mind that the British public school system still allows the teaching of religion. We had to make decisions for today’s North American context. At the very least, serious students of History, (which Mason was determined hers were to become) will have to understand these terms and the Book of Centuries in this configuration, like so many things in a Mason curriculum, enables teachers to have the conversation about postmodern view of time/reality, the nature of History, and to prepare their students to live in an increasingly global world. It is my understanding that it is only the terminology that has changed (you may wish to think of it as Before the Christian Era and Christian Era, ) Essentially, in our calendar, the birth of Christ is still the pivotal event of all time, his birth (as traditionally dated) still begins the designation of a completely new era. Mason’s students, going thoroughly through History would discover this in the deepest possible way, making subtitles more or less unimportant whilst leaving room for people at different stages of understanding to be part of the conversation. It is a difficult call. I don’t want to cause anyone offense. In the end, my choice was less about being politically correct and based on my interpretation of Mason (and hers of Jesus) that it would be more important to be relationally correct. Q. Which notebooks do you recommend? I have a variety of different hard and soft cover notebooks...some with arty covers and others in a plain, field notebook style and it really depends on the use to which I will put the book. Being a paper lover, there are probably few notebooks I won't get excited about! (Homemade are fun too.) That said, I am always happy with Moleskine products. Right now, I have a calendar, nature notebook with sketch paper, and lined journal on the go besides the teeny tiny notebook in my purse for emerging (emergency?) thoughts. Their paper covered "Cahier" makes a good all purpose copybook. I am also quite impressed with the main lesson books that Waldorf schools typically use and Paper, Scissors, Stone offers several varieties, lined, inter-leaved, grid paper etc. which will accommodate some of the needs of a Mason student. 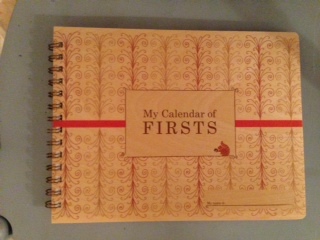 Q. where can I get a Book of Firsts? Drybrush is a watercolor technique that is often used by botanical painters. I hadn’t heard of it before reading Mason either and not being an artist, it sounded intimidating. It really isn’t and becomes easier with practice. The best way is to see someone who knows it do it and then to keep trying it for yourself. This article is by Sandra Zuidema is good and addresses what Mason was after in drybrush. It is on the schedule more for the noticing involved in the practice than for honing artistic ability (although that does happen too.) Keeping this in mind helps me not get too fussy about my ability with a brush! Technique-wise what helped me most is to think of drybrush as coloring with magic markers. The paint is mixed with very little water to get a deep shade unlike what we typically think of for water color--which is often a wash and quite watery. A paper towel helps blot the brush or tipping the brush against the glass of water. Nothing should pool or bend your page with dampness. You mix the paint in the lid or on a plate until you get the color of the thing you want to paint exactly right and then you hold your fine paintbrush as you would a pencil to “draw” with the very thick (dry) color you have mixed. Hence the name. You may want to experiment on some paper a few times before committing to your nature notebook. You’ll soon develop your own way of going at it.